Q: I was going to be foreclosed on and my son decided to buy my two-family home from me. The home was my primary residence but the other unit was rented out. I lost my job over a year ago and even had to give my son a gift of $38,000 to allow him to buy my home. Do I have to pay capital gains taxes? I made a whole $1,700 from the sale. My tax guy thinks I do because I rented out the downstairs apartment. A: Your tax guy may be right. In general, when you sell your primary residence and you have lived there for two out of the last five years, you can exclude from federal income taxes the gain from the sale up to $250,000 if you are single, or $500,000 if you are married. Your situation falls partly within that rule but you may have to run the numbers differently than most people that sell their homes when their homes aren’t two family homes or other rental units or business uses. To compute what you might owe in federal income taxes, you’ll have to make the assumption that your former two-family home was partly your primary residence and partly an investment property. You’ll have to allocate a percentage of the property as a whole to your primary residence and then determine whether you owe taxes on the sale of your home. As you did not have a profit of more than $250,000 on the sale of your home, you should owe no federal income taxes on that part of the sale. To determine your gain on the sale of your home, you need to take the purchase price for the home – in your case that portion of the two family home used by you as your primary residence – and add to that expenses of the purchase, expenses for major improvements to the home such as a new roof or new exterior siding, plus costs to sell the home. Your tax guy may have told you that you don’t owe a tax on the sale of that portion of the home that was your primary residence, but he might have told you that the rental apartment may cause you to have to pay federal income taxes. When you own a rental property, even if it’s part of your primary residence, you get benefits (in the form of deductions and income offsets) over the years on your federal income taxes. When you sell that property, the federal government requests that you repay those benefits as part of a recapture tax. Also, when you sell an investment property and you sell it and make money on the sale, the federal government taxes that gain as capital gains (if you have owned the property for at least 12 months). You need to sit down with your tax preparer and go over the allocation of what percentage of the property was your personal and primary residence and what percentage of the property was the rental. You also need to go over all of the expenses that you incurred when you purchased the property and retrieve all of your records relating to major expenses for the home (such as structural improvements or even decorating and repairing the rental unit) along with the costs to sell the home. 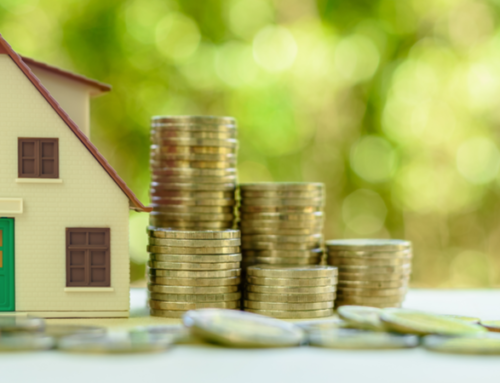 These days, with the $250,000 exclusion ($500,000 exclusion for married couples) on the sale of a primary residence, many people forget to keep track of the capital expenses they have made to their homes. They also forget to include expenses they incurred when buying and selling their home. Only when they find that they may have to pay some tax do these people have to scramble to remember all of these expenses. In your case, your expenses might be different. If you made capital improvements to the rental unit such as a new bathroom or new kitchen, all of those expenses might reduce the amount of tax you might have to pay. For some homeowners, the IRS has put in place rules to assist them in figuring out their expenses to determine whether they will owe tax on the sale of their primary residence even if they have some business uses associated with that home. You might want to take a look at Publication 523 (available as a free download from IRS.gov) to see if you can reduce the amount of tax you might owe. For example, if you had only rented out a room in your house, rather than the entire first floor, you might have been fine. The IRS has decided that a business use within a home such as a rental of a room or a home office would not affect that seller’s right to use the full amount of the $250,000/$500,000 home sale exclusion. Unfortunately, your use would be considered separate from the use of your home and will require you to determine your home use and business use of the property for federal income tax purposes. Based on this lady’s statement that she gave a gift to her son in the amount of $38K, it sounds to me that this family is into committing fraud or very close to it. She claims she was going to be foreclosed, well why didn’t she use those $38K to continue paying her mortgage?……furthermore, I get the feeling she was “renting” out part of the house to a family member (I’m guessing her son) and who knows, maybe they have been cheating the IRS on that too!….now she’s trying to find a way to NOT pay her fair share of taxes on capital gains for her investment! I don’t feel sorry for these people…they are no good crooks. No Don. The Federal Government are nothing but parasites. They feed on the general public until they can’t fed anymore. Not to mention if they are allowing a tax break it’s only to collect more later down the road. This lady is like any normal American. She is trying to find a way to avoid paying more than her fair share. I am in the process of selling my two family home I have owned it since 1997. I have done major repairs on the tenants apt so how do I figure out the amount of the tax. I will be paying off the mortgage with the sale as well as profiting but am giving money to my children to use as a down payment I will be making about 200,000 maybe so is the tax based on the original amount I borrowed or the amount I owe now as I refinanced it a few times. When you’re calculating your rental property cost basis, you have to start with what you’ve paid for the property, add the cost of the capital improvements you’ve made, the cost of purchase, the cost of sale (including broker’s commission) and any cost of financing. Then, subtract those items from the cost of sale. While that’s the “profit” on the actual sale, now you have to look at what depreciation you’ve taken over the years you’ve owned the property. And because it’s partly your primary residence, you can keep up to the first $250,000 in profits (up to $500,000 if you’re married) tax free, but you will have to deal with the other half as a rental. So, it’s too complicated for us to figure this out for you. Please talk to your tax preparer or an Enrolled Agent or CPA to look at your overall tax liability. Good luck!